Nex is looking for a Part-I architectural assistant to join its London team. Nex— is an award-winning architecture studio that designs buildings and places defined by context, people and atmosphere. 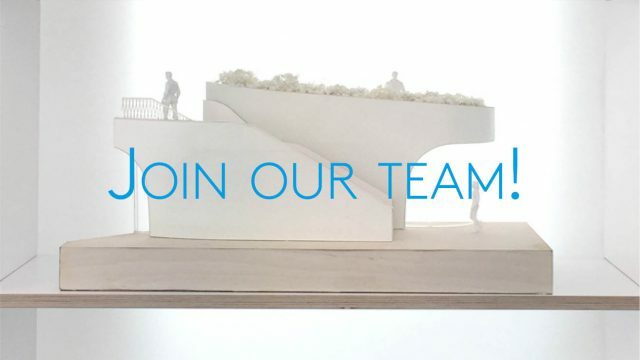 We have a vacancy for an ambitious and experienced Part-I architectural assistant to work on high profile cultural, leisure and infrastructure projects in the UK. The successful candidate will have RIBA Part-I or equivalent. You should value design that is experience focused, and which expands the relationship between architecture and the city. You will also share our passion for new ways of making. You must be eligible to work in the UK and available to start in August-September 2018. The position is for at least one year. To apply, please submit your CV, portfolio, and cover letter. Your cover letter should tell us why you believe you would make a great addition to our team.